The Can-Am Spyder RT Limited is sure to thrill and exhilarate riding enthusiasts thanks to its superior ride, handling abilities, safety features and high-end technologies. It’s propelled by a 1330cc in-line 3 cylinder, liquid-cooled engine with electronic fuel injection and electronic throttle control. The engine is combined with a modern 6-speed semi-automatic transmission and boasts a maximum power of 115 Hp. 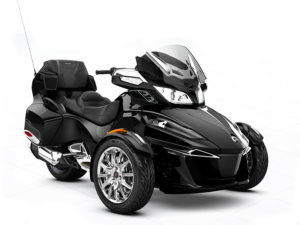 Along with impressive technological features, the Can-Am Spyder offers luxury and comfort for both driver and passenger including a premium saddle with lumbar support, ergonomic backrest, heated grips and individual audio controls that pamper riders during extended adventures. The Spyder has plenty of storage, with a lockable watertight front compartment, two side compartments, a rear compartment and a glove box. With additional features like the Garmin GPS, cruise control and electric adjustable windshield, the Spyder RT Limited makes it a pleasure to explore all the amazing experiences Florida has to offer. 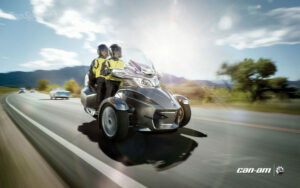 A motorcycle license is required to rent a Can-Am Spyder. Or if you’ve taken the S/TEP course and have an S restriction on your license you can rent a three-wheeled motorcycle. We’re conveniently located near I-95 on exit 69, near the Palm Beach International Airport (PBI) and the West Palm Beach Tri-rail train station. 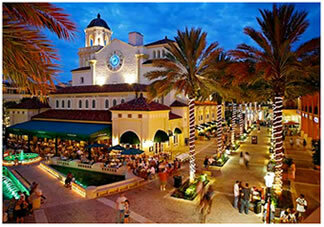 We offer a pick up and drop service to PBI and the train station and nearby hotels. 1547 North Florida Mango Rd.